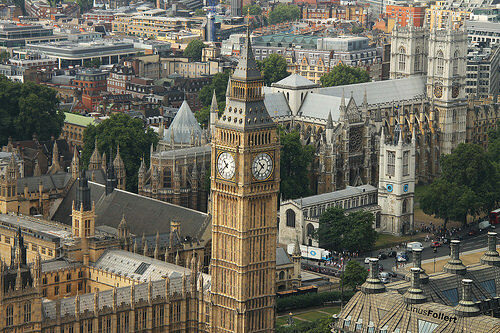 You can visit London with or without the stopover in Reykjavik. ITA will price the fare with the stopover at $473, but Priceline will likely price the fare with the stopover at $468. Valid for travel from mid-January, 2017 – mid-March, 2017. Must purchase at least 1 day in advance of departure. Support us by using our Priceline link to book with dates found on ITA Software Matrix Airfare Search. Select “Multi-Destination” and enter each segment and dates for those segments individually. 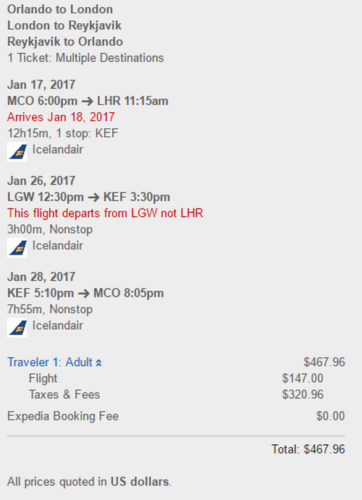 Finally check “Show Additional Options” and then under “Preferred airline:” select “Icelandair” to price this out.